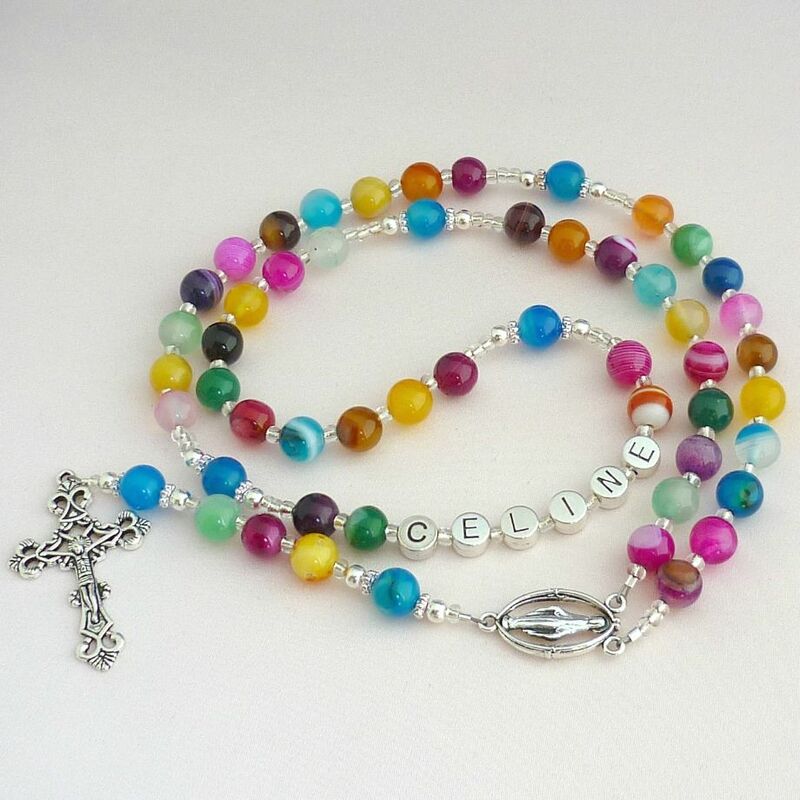 Multicoloured Agate Gemstone Rosary Beads with Any Name in Pewter Letters. This colourful, high quality rosary can be handmade with any name up to ten letters long. Made with 8mm agate gemstones. Rosaries make a lovely personalised gift for so many occasions including: First Holy Communion, Confirmation, Baptism or Wedding. Made with: 8mm agate gemstones, tiny silver lined glass seed beads, Tibetan silver cross and Mary centre piece with silver plated parts.